Delhi-based Awfis Space Solutions Pvt Ltd, which offers shared working spaces, has raised $20 million (Rs 127 crore) in a Series B round of funding from Sequoia India, a company statement said. The company will use the funds to expand its network of centres, launch new products and services, and enhance its existing technology platform, the statement added. In the next two years, the company plans to establish more than 100 centres with over 35,000 seats across Mumbai, NCR, Bengaluru, Chennai, Hyderabad, Kolkata, and Pune. Delhi-based investment banking firm Maple Capital Advisors acted as the financial advisor for Awfis on this deal. “Awfis is transforming under-utilised real estate assets and providing an affordable and exciting new age work environment for today’s entrepreneur. 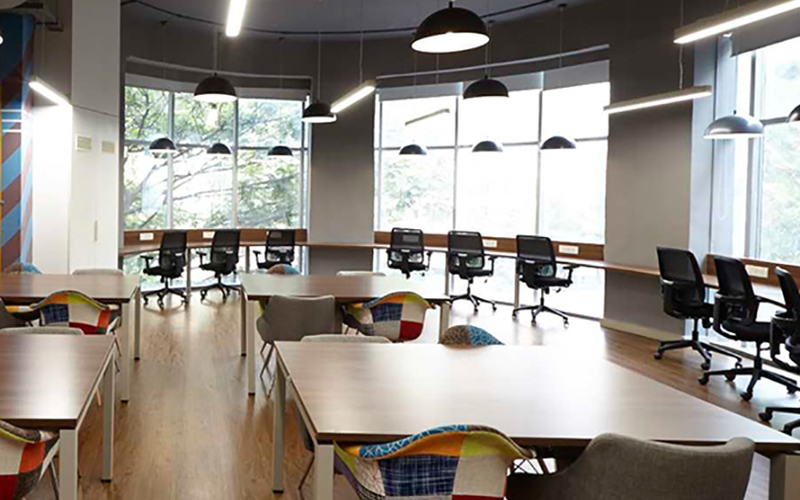 We believe that this will facilitate a change in preference of the conventional office user from traditional offices to new age co-working spaces,” Amit Ramani, founder and chief executive of Awfis, said in the press note. Awfis was jointly incubated with a total capital investment of $11 million in April 2015 by Ramani and The Three Sisters: Institutional Office (TTS:IO), the family office run by Radha Rana Kapoor, Raakhe Rana Kapoor and Roshini Rana Kapoor, the three daughters of Yes Bank founder and managing director Rana Kapoor. The two-year-old startup currently has a network of over 7,500 seats across 21 centres in eight Indian cities. The company, which claims to have more than 90% average occupancy across its established centres, claims to have a more than 500 members that includes leading startups, MSMEs, and Fortune 500 companies. Besides its own proprietary centres, Awfis also aggregates and lists third party unused commercial spaces on its site. For example, one can book meeting rooms at hotels such as Lemon Tree Hotels, Hyatt, Trident, Marine Plaza, Sarovar, Beatles, etc. through the Awfis platform. Co-working space firms operate on two business models: in one, startups either lease an office space or buy one, and in the other model, startups use areas within restaurants, cafes and other public areas as working spaces. Startups such as Innov8, 91Springboard, CoLife, and InstaOffice follow the first model, while those such as myHQ follow the second one. Awfis operates its business based on a mix of the two models. Other co-working startups that have received investor attention include The Office Pass, which on Tuesday raised $245,000 (Rs 1.5 crore) seed investment from a group of individual investors led by Arun Tadanki, former managing director of Yahoo Southeast Asia and India.